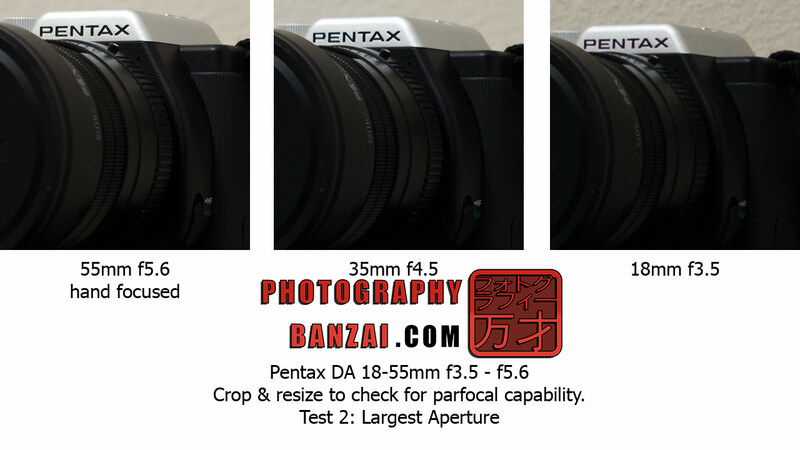 Home > Technical & Testing > Quick Pentax Lens Test: Parfocal or Varifocal? 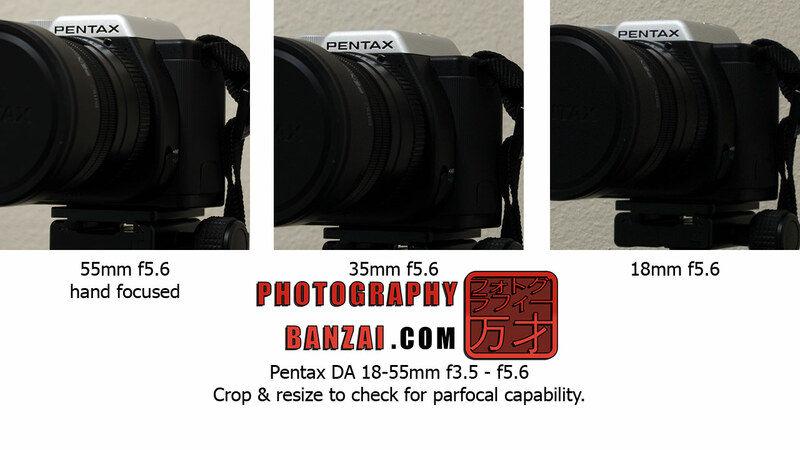 I did a quick test on three lenses that I have to see if they are Parfocal or Varifocal. 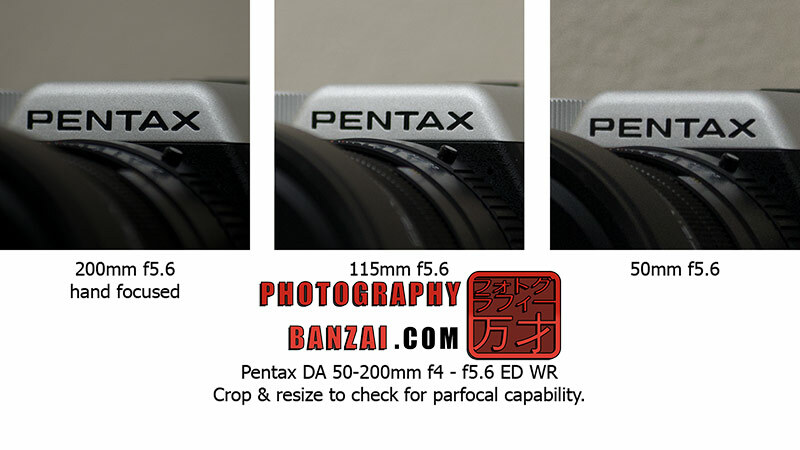 If you are unfamiliar with those terms, Parfocal is a type of zoom lens that does not have focus shift when the lens is zoomed throughout the focal length range. This is a great feature for video work because the photographer can achieve focus and zoom without the need to refocus. It is also helpful in general photography where a photographer can zoom in, achieve focus, and then zoom out to take a more wide angle image. Varifocal lenses are basically the opposite in that as the focal length changes, the focal point will move. These tend to be easier to design and construct, so most photography lenses are Varifocal. I tested the Pentax 10-17mm Fisheye, the Pentax DA 50-200mm f4-f5.6 WR, and the DA 18-55mm f3.5-f5.6. The results were mixed. 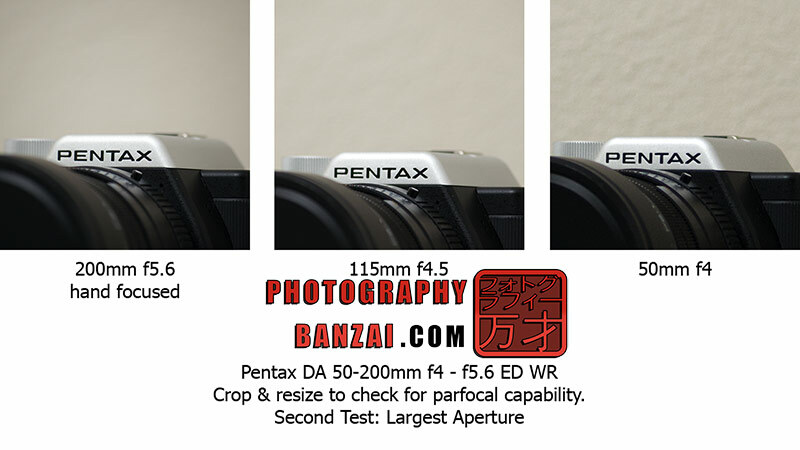 While depth of field shouldn’t be too much of an issue, it was still difficult to detect a significant enough change or no change at all to say whether a lens was Parfocal or not. From what I could tell in my testing, none of the lenses were exactly what I would call Parfocal. However, the focus shifts were so small in my particular test that I think they would be sufficient for at least video work. This entry was posted in Technical & Testing and tagged analysis, focal point, focus shift, lens, parfocal, test, varifocal, zoom lens. Bookmark the permalink.